I've been working with the marvellous people at MushroomSA to come up with healthy recipes that revolve around a concept called 'Blendability', basically blending finely chopped mushrooms with ground meat to up the nutrition and taste and decrease the calories. It's a cool concept that works to lessen cost, calorie intake, your carbon footprint as well as up the vitamin and mineral content of your food. 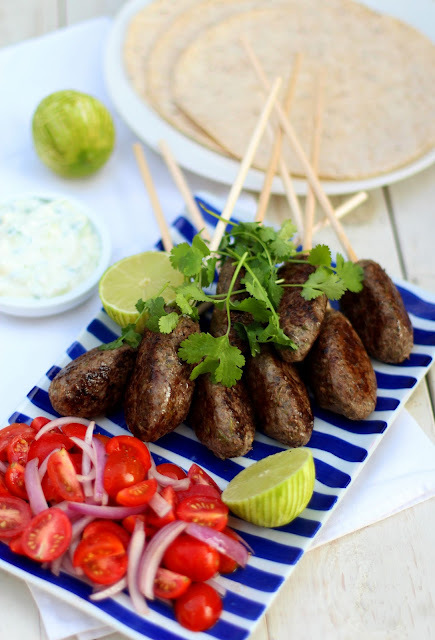 But, aside from all of that factual stuff, it makes the food taste better and in the case of these koftas, makes them lighter in texture which means they're delicious both hot and cold. 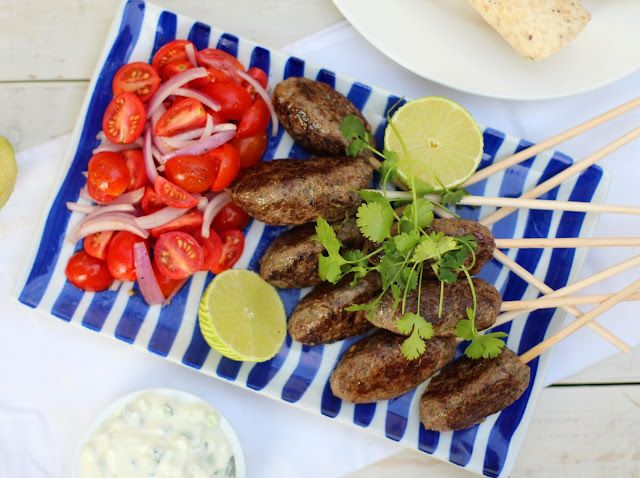 You can make them with either ostrich or lamb mince, but ostrich mince is more freely available in South Africa and very low in fat. Fry the mushrooms in the olive oil with a pinch of salt until the mushrooms are beginning to brown and all the water has evaporated from the pan. Set aside to cool. Once cooled, place all the ingredients into a food processor and blitz until everything is well blended and comes together. 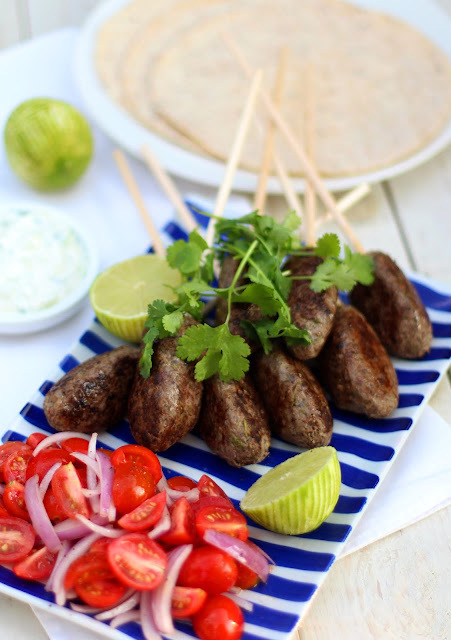 Form into 8, equally-sized koftas and insert the skewers. Either fry on a griddle pan, grill or braai the koftas for approximately 8 minutes, turning to brown all sides, until cooked through. Squeeze over fresh lemon juice just before serving. Enjoy with tzatziki, tomato and red onion salad and tortilla wraps.